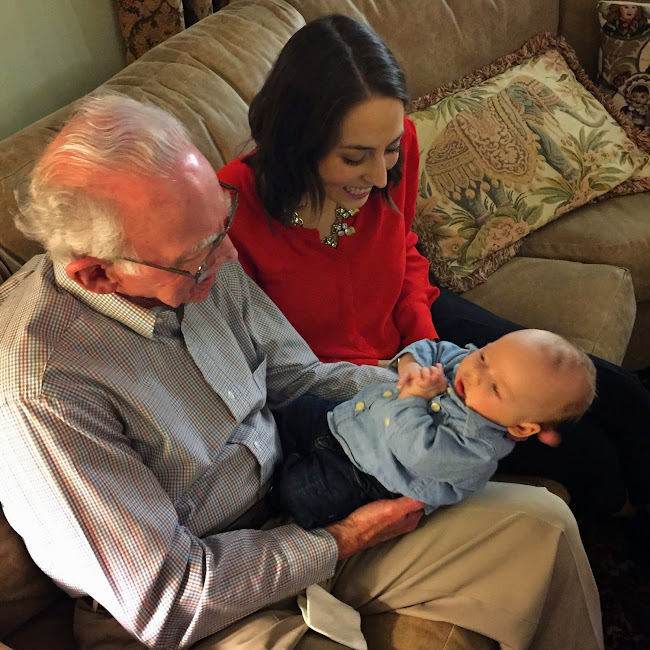 …My mom and dad got to meet Charlie for the first time Friday evening. It was so great to share their excitement. My dad with Katie and CharlieWe were all together again yesterday (the sangria was delicious!) and this time we tried for a “real” photo. My sister was shooting with my dad’s camera and I had my phone. Between the two of us, I think we have a handful of good ones. But wow, it’s hard to get three people to all look good for one photo…especially when one of them is just ten weeks old!No matter. These are my six favorites – every one of them shows a smile…on at least one face! One Word Wednesday | Patience. I think they all look great and grand! Enjoy your time together! Ah, these are lovely! I especially like the bottom right one. Great job – photographing babies unless they are asleep is a challenge! All the pictures are wonderful keepsakes. Smiles are overrated! How wonderful for your parents to see their new grandson! I'm so happy you had this experience! Oh! What a great group of people!! That's so wonderful. 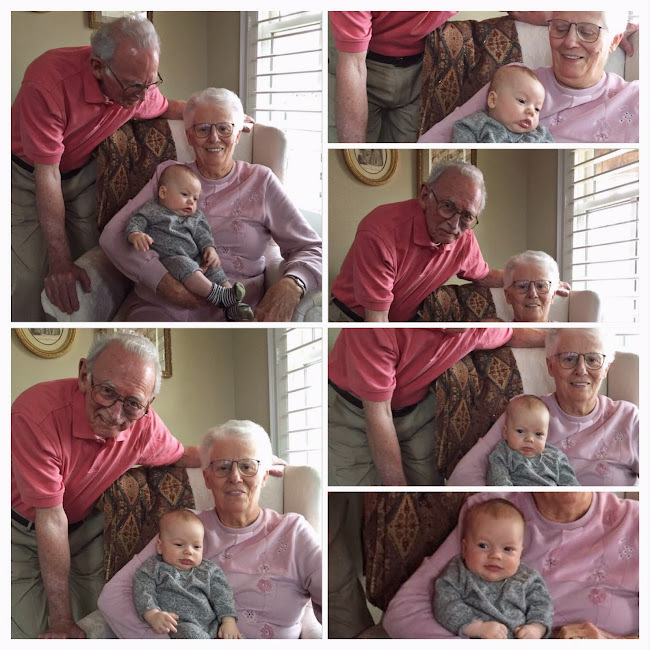 I treasure the photos I have of my kids with their great grandparents! Sorta like herding cats! Glad you were able to get some good ones though.